The term is the length of a mortgage, after which a borrower renews its terms and conditions if the balance is not paid. Terms are from 6 months to 10 years, and the longer a term is, the higher the interest rate (generally). Your personal situation determines what term to choose in respect of your budget and future vision. 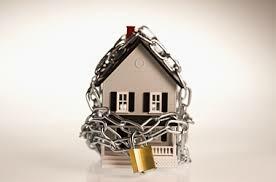 A closed mortgage means that your rate is closed and not open for discussion over the term agreed upon. Closed mortgages generally have lower interest rates than open mortgages but have prepayment charges if you wish to renegotiate your interest rate prior to your term coming up. Most closed mortgages do offer the ability to save interest through paying off your mortgage faster. An open mortgage has no term and it allows you to renegotiate or refinance your mortgage at any time. Because a closed mortgage has rate stability over an open mortgage, most mortgages chosen are closed. This depends on your personal risk tolerance as well as the prevailing rates at the time. Regarding risk tolerance, if for instance you’re a first-time homebuyer and/or you have a set budget that you can comfortably spend on your mortgage, it’s smart to lock into a fixed mortgage with predictable payments over a specific period of time. If, however, your financial situation can handle the possible fluctuations of a variable-rate mortgage, this may save you some money over the long run. Finally, there are also other mortgage options that enable you to split your mortgage into both fixed and variable portions. Sometimes there is an easy answer between getting a fixed or variable mortgage. Many times it can depend on the spread between the variable and fixed rates at the time of purchase and your risk tolerance. Selecting the length of your mortgage amortization period – the number of years it will take you to become mortgage free – is an important decision that will affect how much interest you pay over the life of your mortgage. I generally advise my clients to take the longest amortization possible for two main reasons. The first reason is that with almost all mortgages, you can pay off your mortgage sooner using pre-payment options, effectively decreasing your amortization. Secondly, I always advise clients to be in the most flexible position possible. Longer amortizations mean lower monthly payments. However, we will arrive at your amortization period by determining what is the best option for you. Pinsky Mortgages is one of Vancouver, BC’s top rated mortgage brokers. We are here to help you learn more about the mortgage process & how to find the best mortgage solution for you!